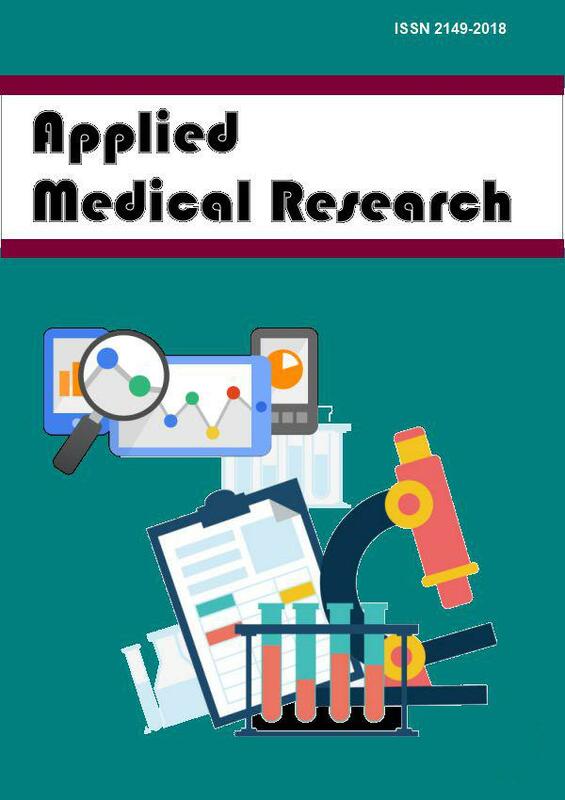 The Applied Medical Research is an International Peer Reviewed medical journal that publishes original articles, reviews and case reports on all aspects of complementary medicine, pharmacy and drug discovery in English. The following instructions follow the Uniform Requirements for Manuscripts Submitted to Biomedical Journals (ICJME Recommendations for the Conduct, Reporting, Editing, and Publication of Scholarly work in Medical Journals). Manuscripts are accepted for consideration with the understanding that they have been submitted solely to Applied Medical Research and that they have not been previously published, either in whole or in part. Applied Medical Research is a fully peer-reviewed Journal. The editors reserve the right to make editorial changes in all matter published in the journal and cannot enter into correspondence about papers not accepted for publication. Applied Medical Research accepts manuscripts electronically through the Internet-based program. Access to send manuscript page is gained through http://my.ejmanager.com/amr. On the site you will find instructions for submission of the manuscript. All tracking and follow-up will be done through the online program. If you have questions about the online program, please address them to support@scopemed.org. Copyright of all material is held by the Applied Medical Research. The editors, editorial board, sponsoring organizations, and publisher do not accept responsibility for the statements expressed by authors in their contributions.